"Prega-knit". That's what Elizabeth calls me these days. "Mommy. You. Are. Prega-knit." And this weekend, that was kind of true. I spent more hours than I should allow myself to count, sitting in a chair, beside the fire, knitting away. This little broken wrist of Emma's has been getting a lot of my attention lately. Last week we went to see a family Ortho who said her crack was small enough that she could downgrade to a softer splint. And seeing it wrapped around her wrist all weekend kept reminding me of Leslie's Toast. And being the ADD knitter that I am, I immediately dropped the current project that I'm making no progress on, to whip up a kid-version of Toast for Emma. * creating some way for them to stay together. If they're anything like the socks and mittens in this house, I knew they didn't stand a chance to survive as a pair. 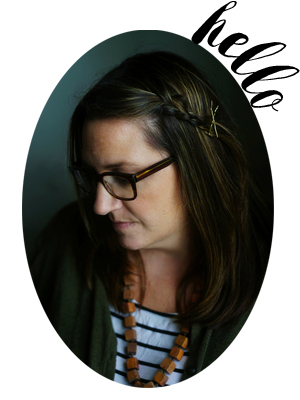 And so these "Wee Toast" were created–wIth a little seed stitch cuff, and a small tab with buttonhole so that they can be buttoned together when not being worn. When the "Wee Toast" are on, the tab is small enough that it can be tucked inside. CO 27 stitches and divide them among three needles (9 stitches on each needle) Join to work in the round and knit two rows. Knit 5 rows of seed stitch (optional). Continue knitting until piece measures 7 inches, or desired length. Bind off all but three stitches. With two needles work these 3 stitches in stockinette stitch for six rows (ending with a purl). On the next knit row : K1, YO, K1. Next row: Bind off all stitches and weave in ends. For the second "Wee Toast" follow the same pattern but bind off after working 7 inches from beginning. 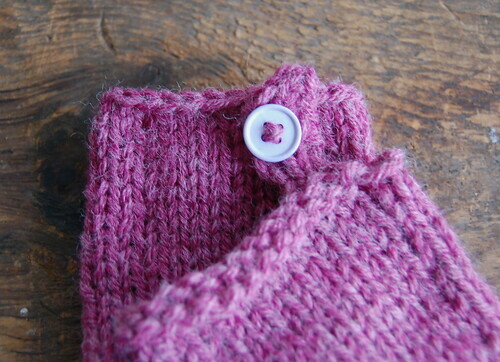 Attach a small button to the top end of second Wee Toast in order to keep them together when not being worn. Hopefully this pattern makes sense. It is very simple and when you get to the tab at the end, it is very easy to visualize, even if my pattern isn't clear. You just knit a little tab with those last three stitches and add a (YO) button hole. Now my only problem is to get Emma to take off her Wee Toast and put her splint back on. She's trying to convince me that it keeps her injured wrist warm and happy. you are so smart with the button! Love the button idea! Wish I could do that to my socks! Keeping pairs is a problem isn’t it? I love thinking about you sitting by the fire with your girls and knitting. Perfect. 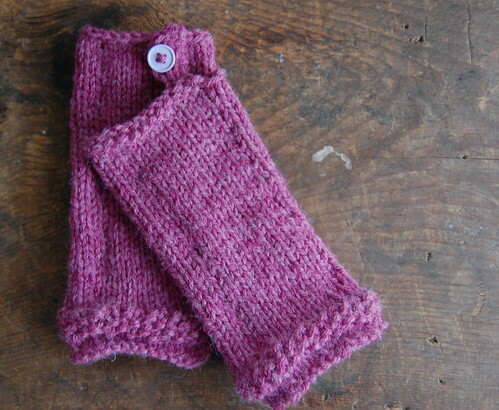 Now you can come over and make the little button and hook addition to all our mittens and socks! I love the button idea! I have to admit that I have spent a LOT of time on the couch with my feet up and needles in hand. So far I have knit 5 pair of slippers and 2 hats. I have another pair of slippers and 2 more hats to go. Then I’ll probably move on to handwarmers. At least our prega-knit time is productive, right? So sweet! 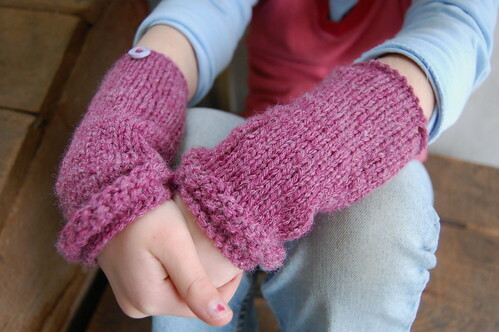 I am taking a knitting class in January and I hope to eventually be able to try this pattern out on my little ones! I hope Emma and Mary are on the mend. And belated congratulations on the new one on the way. Thinking of you. those are so cool – thanks for writing the pattern!! so stinkin cute!and i LOVE how they will always stay together. what a fun project and you are soooo right about them not standing a chance of survival without a way to attach them. we can barely keep track of socks around here. It is so sweet to knit for a new little one. And I love the button idea – very clever!! I posted about knitting a bunch of new little things for my new baby just before she was born in late October. She’s the only one, aside from the first, that I had any time to knit things up for before she arrived. Oh I love these! How I wish I could knit more then a straight line!